What is sage honey good for? Probably the most common monofloral honey in North America, sage honey has a unique taste, smell and color. It is produced from the nectar of a very familiar and famous plant, sage, which is a well-loved and well-used herb, one favorite culinary herbs everywhere and one of the herbs people have easy access to no matter where they are. The floral source of this honey is sage, of whatever the species. The one that comes from Salvia Officinalis L. brings lots of health benefits to our bodies. Botanical name: Salvia Officinalis L., from the Latin word salvere which means “to save”. Other names: in English: sage, common sage, garden sage, golden sage, kitchen sage, true sage, culinary sage, Dalmatian sage, and broadleaf sage. In French: Sauge, Italian: Salvia, German: Salbei, Spanish: Salvia, Finnish: Ryytisalvia. Types: lots and lots. Black Button, White Sage, and Purple sage are the most known. The cultivated forms are purple sage and red sage. Location: all over the globe. Originally coming from the Mediterranean region, it grows wild almost everywhere, often in rocky places, but it’s also grown in gardens. It’s cultivated more in California. In the Sierra Nevada mountains and California coasts the swarms of bees are attracted by the white flowers of the Black Button sage. In fact Southern California cultivates bushes of white sage for most of the year. In Texas, sage honey is almost black – this is because it’s made of purple sage. It thrives well in dryer climates and it’s a perfect addition to a permaculture like garden that can be planted once and left to thrive through the years. Planted in vegetable gardens it can help repel certain insects. Sage is a perennial plant that grows to a height of 30 to 60 cm. It has a woody stem and a very strong root. The leaf and flower color can vary widely depending on the cultivation, but common sage is a silvery green on top and almost white on the bottom with soft ovalate leaves and flowers in whorls ranging from purple to a light delicate, almost white, pink. The stems have the common Laminacea trait of being square. To benefit from its healing features, the plant is picked before blooming. Leaves and young branches are used for healing. Fresh sage leaves are used in cooking as a spice. Sage has a aromatic, somewhat bitter taste. It is used as a dressing for pasta and pizza, additive to veal, lamb, gain, pork, omelet, and fish. antibacterial, antifungal, antiseptic, antispasmodic, anticattarrhal, anhidrotic, astringent, diaphoretic (when served warm), expectorant, emmenagogue, febrifuge, nervine, astringent, alterative, diuretic, carminative. What is really interesting about this plant, is that it affects people differently. It can be warming or cooling, depending on the person. If you can find fresh sage leaves, put one in your mouth, chew it and see if it is warming or cooling your mouth. For some people, if they prepare sage in a warm tea it is more warming and if they take it in a cool tea (or tincture) it is more cooling. Sounds somehow natural, but it’s not the same for everyone, it depends a lot on their nature, and their state of health in that moment. Precautions: Sage is drying in nature and it should be avoided if you are breastfeeding, unless you need to reduce breast milk production. Generally it is not recommended to people who are dry. Because of the thujone content (one of the volatile oils sage contains) it should not be used medicinally for people who are prone to seizures. Pregnant women should refrain from taking it in a medicinal dose. And no matter how you are, if you want to take it in large doses, first talk to your physician. In Europe sage is cultivated for its essential oils. It is distilated from Salvia officinalis and Salvia fruticosa together. The oil contains cineole, borneol, and thujone. Sage leaves have tannic acid, oleic acid, ursonic acid, ursolic acid, carnosol, carnosic acid, fumaric acid, chlorogenic acid, caffeic acid, niacin, nicotinamide, flavones, flavonoid glycosides, and estrogenic substances. Sage oil and Clary sage oil (aka Muscatel Oil). 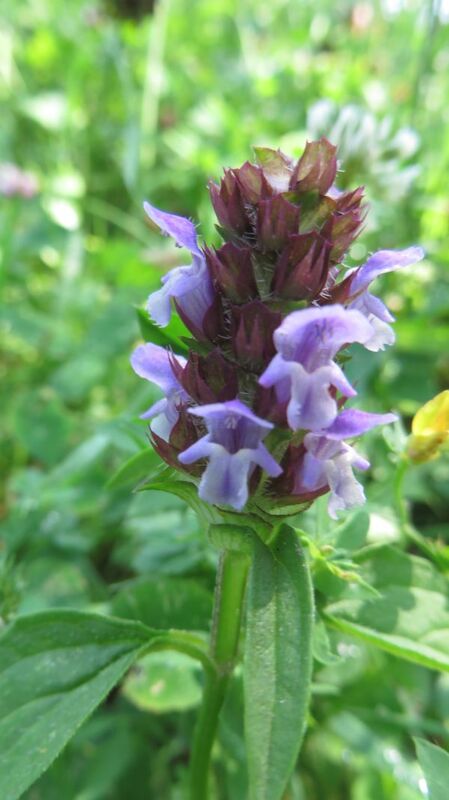 The difference comes from the plants they are produced of, the clary sage oil being made from Clary sage (Salvia sclarea), a relative of common sage. antifungal, antimicrobial, antioxidant, antiseptic, anti-inflammatory, antispasmodic, antibacterial, cholagogue and choleretic, cicatrisant, depurative, digestive, disinfectant, emenagogue, expectorant, febrifuge, laxative and stimulating substance. – often used to improve vision and address related conditions, such as tired or strained eyes. It protects loss of vision due to premature or normal aging. – also: antidepressant, anticonvulsive, antispasmodic, antibacterial, antiseptic, aphrodisiac, astringent, carminative, emmenagogue, euphoric, hypotensive, nervine, sedative, stomachic, deodorant, digestive.
! Heavy dosage can cause headaches. Pregnant or nursing women should avoid using it. And something we don’t usually find about this healing plant: It is not good only for this physical, terrestrial world, but also for the unseen level of our existence here on Earth. Sage cleans the energies in your house! Sometimes we hear some rather unexplained noises in the house, otherwise known as poltergeist. Or sometimes, we simply have a visitor we don’t like, who somehow makes us feel bad, sad, angry or without energy. Sage (and sage oil) is going to remove that bad energy from your house. I use a simple oil burner and pour 7-8 drops of sage oil and then simply enjoy the smell. (I happen to love this smell.) The power of this plant is similar to that of frankincense, which is used by orthodox priests in all their ceremonies. For the same purpose, sage is used a lot in smudging. Here is a great site I have found on smudging. And I have also found a good way of cleaning the house from bad energy here: How to Perform a Sage Cleansing Ritual. If it looks like witchcraft to you, than stick with the oil burner, like I do, it works perfectly for me. If sage is not harvested for its leaves, then bees can collect the nectar from the flowers, during their peak blooming season, early spring to late summer. Sage honey is not made only from Salvia Officinalis, but from any of the species from the genus Salvia. Taste: sweet and balanced, similar to tupelo honey. Flavor: sweet, clover-like with a floral after taste. Sometimes it has a mix of fruity and spicy notes. Color: extra light (with a beautiful warm, golden glow), to light greenish-yellow. Moisture content: low. This makes it have a thick texture. Crystallization: slow. It can stay stay liquid for several years without special treatment, for example, robinia (black locust), sage, longan, tupelo and jujube/sidr honeys. This is due to the high ratio of fructose to glucose. Antioxidants content: low. Even less than 20% of the antioxidants found in darker honeys. What are the health benefits of sage honey? This honey has been long used in many ways, from a facial toner to a plague remedy, as well as drying up breast milk and easing cough. • Helps in healing colds because it enables you to expel mucus easier from bronchi and trachea, even from the stomach and esophagus. 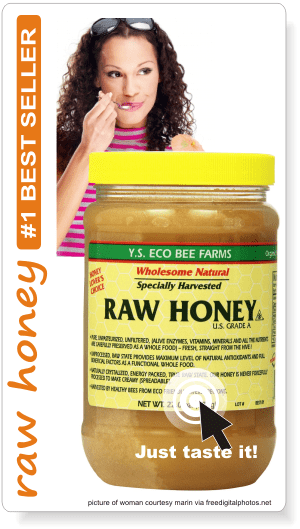 Sage honey is listed in the leading group of honeys for treating respiratory organs and pathways. Also very useful in preventing flue, angina or cold. • Helps in excessive sweating. Yet do not exaggerate with it, remember the rule of balance. Too much sage honey can lead to negative consequences like vertigo, sickness and vomiting. Also, not recommended for pregnant women, women that breastfeed and people that suffer from epilepsy. • Helps in cases of poor blood flow. Especially recommended to be taken during spring. • Helps digestion, mainly due to its content of prebiotics, and probiotics (in the first 3 months from the harvest). Just like sour-wood and alfalfa honeys, sage honey stimulated the growth of five human intestinal bifidobacteria, in all the studies made. It was also researched a lot in treating stomach ulcers. • Reduces the time of healing wounds and deep scars. The topical application of this honey on wounds caused after surgeries or skin grafting shrinks down in a matter of few hours due to its strong antibacterial nature. (some say mainly due its low content of moisture and peroxide activity). 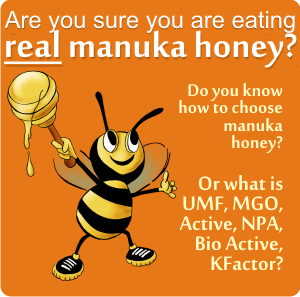 In this respect it can be compared to manuka honey. • May stabilize our blood glucose level. According to some apitherapists, despite being high in fructose, it seems that this honey does not lead to the rise of sugar level in the blood. This makes it an excellent choice for diabetic people who are looking for some sugar alternative. 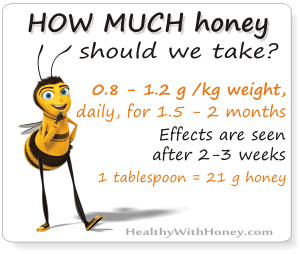 Read more here: Can diabetics eat honey? Do you have a garden but no sage in it? Well, don’t hesitate and plant some. It looks good, it smells good and rejects bad energy from around your house. 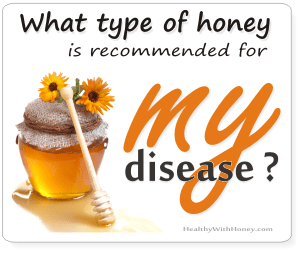 Besides, if you have hives, it will give your honey a great taste. Here is a very good site on how to plant sage and what you need to do after that! epicgardening.com/white-sage-plant/. A different kind of “sage honey”. A DIY project of health! – Scratchy raw throats. Take a spoon of the mixture, or add it to a luke warm tea. It’s astringent and antibiotic. – Stimulates sweating and salivation. In a sanitized glass jar put enough fresh sage to fill ½ the jar or enough dry sage to fill ¼ of the jar. Pour wildflower (aka multifloral honey or polifloral honey), or any other type of raw honey to fill the jar to the brim. Cover the jar with a lid and allow it to sit in a cool, dark, dry place for 2-4 weeks. But, don’t take my word on it! Read more. Here are 2 books written by herbalist Matthew Wood, who used his twenty-five years of clinical experience and gathered his knowledge in 2 amazing books on medicinal plants. Volume two treats American plants. These books address to beginners, students and advanced practitioners as well, showing everything needed to know: what are their constituents, what parts of them are useful and for what, how were they used in the past and how are they used now. 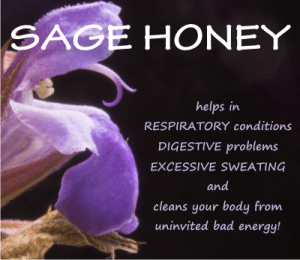 How to enjoy sage honey? In your tea, coffee, drizzled across a salad or a grilled peach, with cheese, in your oatmeal, in your cookies. Remember to wait a little if you are pregnant or breastfeeding. Not for you yet! Sage honey makes an excellent choice to make mead! · What is mead wine? 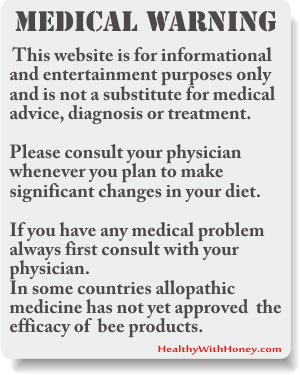 Alfalfa honey aka lucerne honey Eating healthy is useless. How can we be healthy and happy?